The mobile hopper facilitates the loading and unloading of ships and provides a means of storage and transportation of materials. 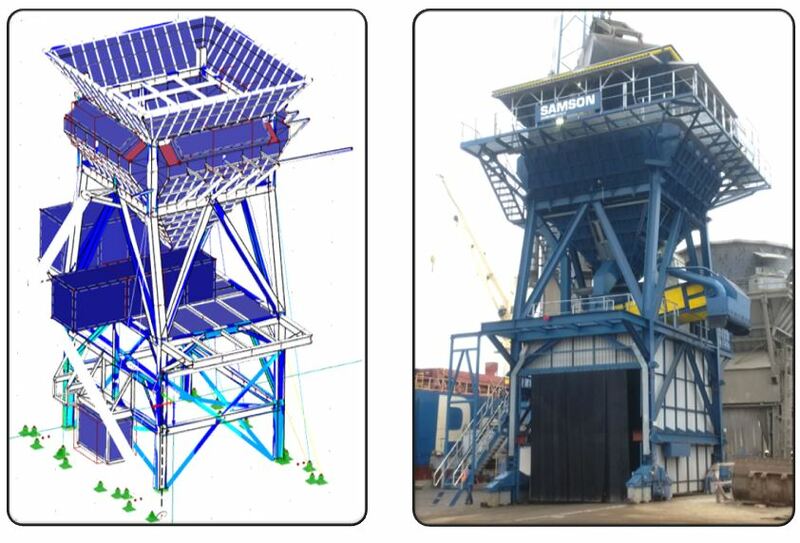 Mechanika ltd carried out the entire structural assessment and structural design of the hopper, which in an overloaded case could sustain loads of 600 tonnes. The load cases assessed covered all static and dynamic scenarios and were executed using a combination of detailed hand calculations and structural modelling using RFEM5. Mechanika also designed the bespoke internal removable bracing to react the loads associated with sea freight, which also enabled the client to ship the entire structure in one piece.